Open and airy with lots of charm. 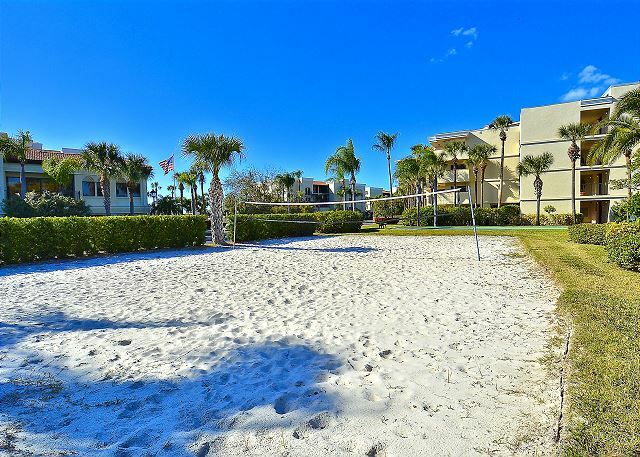 This large corner condo has everything you need for a perfect vacation. 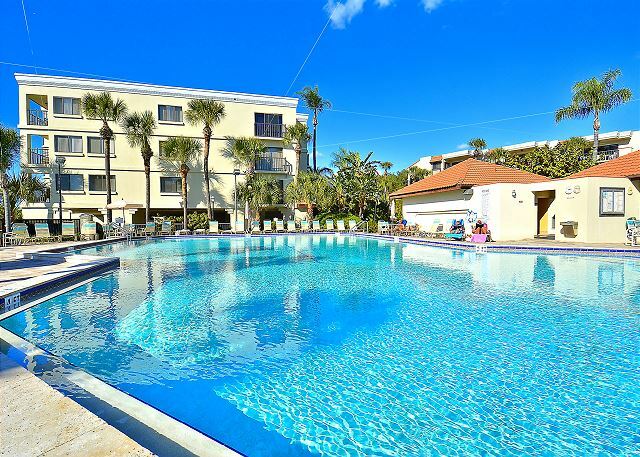 With a brand new remodeled kitchen and all new living room furniture this condo is a perfect choice for your vacation home away from home. 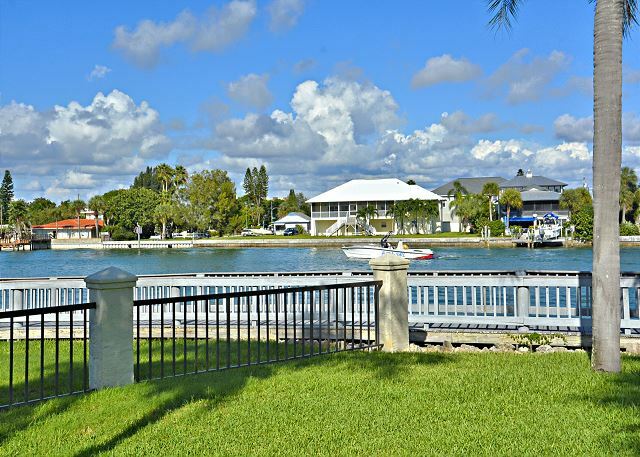 A row of windows open the space to a great view of the Intracoastal Waterway (Boca Ciega Bay) from the living room, dining area and the kitchen. 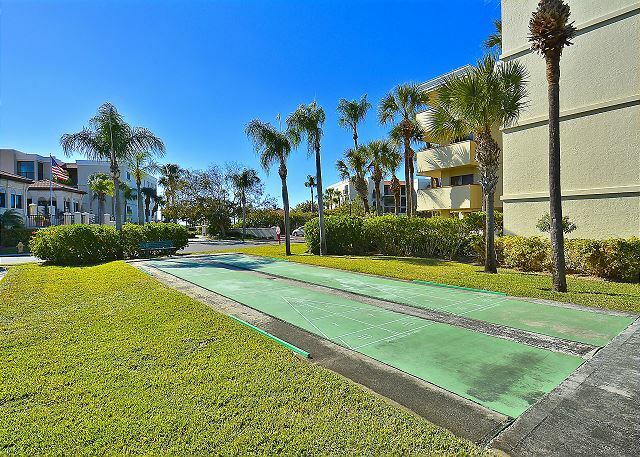 Located in the popular Sunset Beach neighborhood, this lovely condo has wood and tile floors through out. 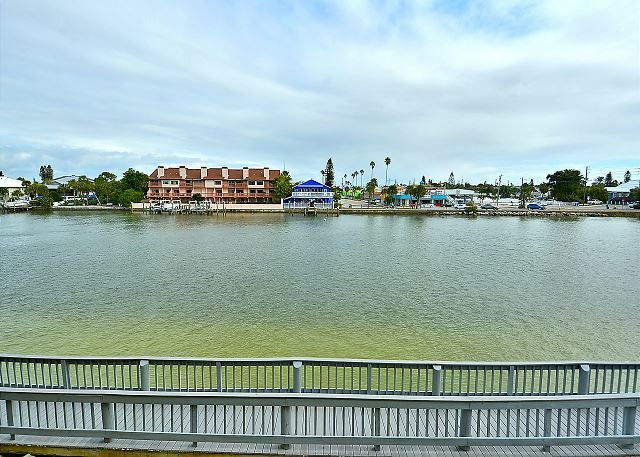 The water front balcony is a great place to watch for dolphin, sea birds and boats on the water right outside your sliding doors. Free internet service. Used resort rentals for many years. Very professional. Well managed. Would highly recommend them. The condo was nice and clean. We love Lands End. There were a few things we noted. Hall shower very low water pressure. Chest of drawers in bunk room is dangerous. Drawers just fall out (not in groove under drawer. Thank you for your feedback from your recent stay in this premier condo in our inventory at Land's End. We are so glad to hear you loved Land's End, it really is a great spot! :-) Sorry for any troubles the dresser drawers may have caused you, we will be sure to take a look at this. Thank you for being our guest and we hope to see you back for another visit in the future! Very good, enjoyed every thing. Great to hear!! :-) We look forward to your next Land's End getaway!!! Our stay at Lands End was excellent. We were very pleased with the size of the condo and the view. We had a bay side view and everyday saw dolphins swimming by, we even had the pleasure of seeing Manatees twice during our 9 day stay. We did experience a major leak in the master bath on day two, the management was very quick to respond. ( within 20 minutes someone was at our condo). When they discovered that is was not going to be an easy fix they immediately moved us to another, equally nice, condo one floor up. The stay was wonderful. My family and I loved the grounds, the beach, and the view. If you get up early (6:30AM) and walk the beach you can find some nice shells. Only minor negative would be a restaurant directly across the water from us would have live music every day from about 2PM until 2AM. It was loud if you sat on the patio but inside you could not hear the music. 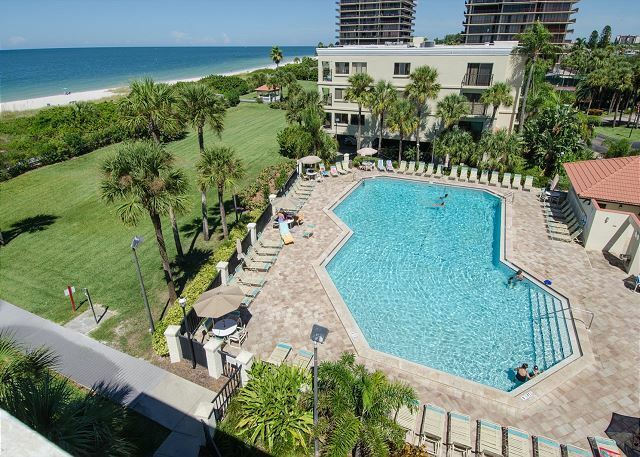 We were very pleased with the location, the condo itself, and extremely please with the management for responding to our needs so quickly. We are definitely planning on staying here again. Thank you very much for this post!! We are truly so sorry for the unexpected leak that occurred while you were here but are so glad we could rectify the situation with you! The music from across the way is off of St Pete Beach and they do have live entertainment at different times throughout the season. There is a city ordinance in place for this; however, we are sorry for the disruption it may have caused you. We absolutely LOVE to hear that you saw dolphins AND the manatee sightings, the manatees are not seen as much so that is always so neat to hear!!! :-) Thank you for being our guest and we look forward to having you back for another beach vacation!! We love Lands End and this is a great condo but wish it were a little cleaner. After walking around the first day barefoot (we don't usually wear shoes in our home) our feet were black. I don't think the floor had been mopped and unfortuanately there wasn't a mop for me to do it.... a So we had to wear shoes indoors the rest of the week. It was also incredibly dusty. I'm not sure how long it had sat empty before we got there but possibly a while. Also no cleaning supplies other than the bar of soap they left and the dishsoap I brought. With the glass table and mirrors down the hall I also would have liked to have a bottle of Windex to clean a little. The bed in the master is SUPER soft.... like sink down in foam soft. I usually sleep well everywhere we travel but the soft memory foam matress was really uncomfortable and I didn't sleep well all week. This unit also has no beach chairs, so that was disappointing. I know that it's not guaranteed that they'll have them but we've stayed in 3 other units here before and have always had them. The unit is really beautiful and the stay was still good... a few tweaks and this place would be perfect. Great two weeks. Back again next year for four weeks. Woohooo!! That is twice as much fun in the sun!! :-) Thank you for choosing to stay with us and we look forward to having you back next season! The rental unit was very nice. Beds need additional pillows. Wonderful time away, location and accommodations. Location is perfect. Off the busy blvd. yet close enough (1kile) to access the blvd. The unit was spacious yet a bit out dated. 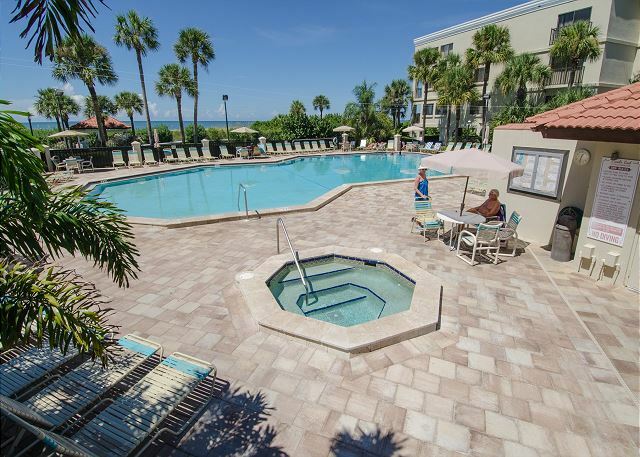 Pool and quick access to the beach a plus. very friendly community. This will be the only place I stay from now on. Thank you for the post and so great to hear Land's End is your new go to spot when visiting!!! :-) We have 2 different categories of condos in our rental program, premier and standard. This condo that you stayed in falls into our standard category. 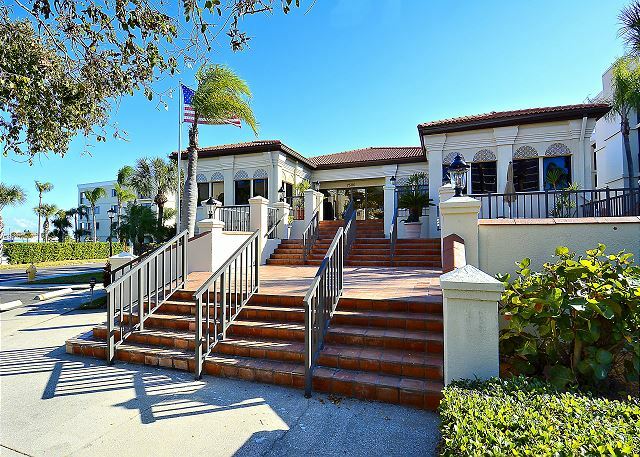 In our premier category of condos you will find updated kitchen and bathrooms along with newer flooring, appliances, furnishings and flat screen TV's. We have a number of premier condos in all view categories at Land's End so during your next visit should you want to try something a bit more updated, a premier option could be a nice fit for you!! Thank you for being a guest with us and we look forward to your next visit. Definitely very good place to stay here and we'llcome back next year !!! Condo was very nice and clean! The kitchen and living room were newly renovated. The entire condo was spacious.Although both bathrooms needed to be renovated, everything was functional. This was our 4th stay at Lands End and it was just as beautiful property this time as it was the first, almost 13 years ago. 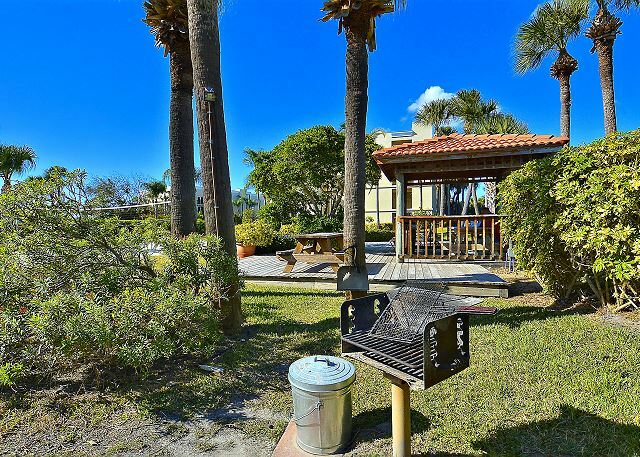 Property is very well maintained and staff is always around to keep things in order. Our unit was very clean, updated amenities, and had all the comforts of home. Great view of the intercostal. 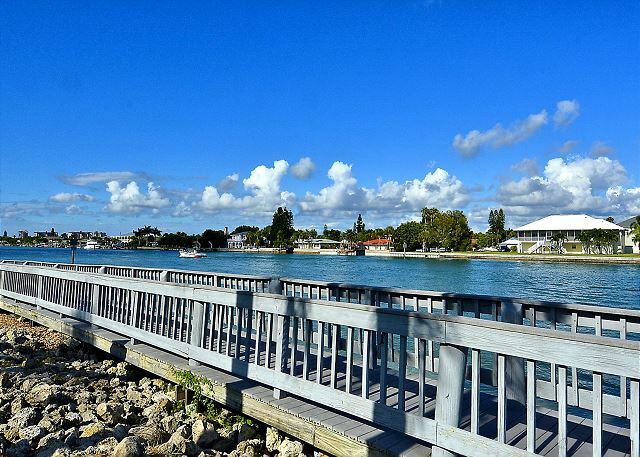 Location is great for those who want more of a private beach and for those who like to fish, it's a great spot. 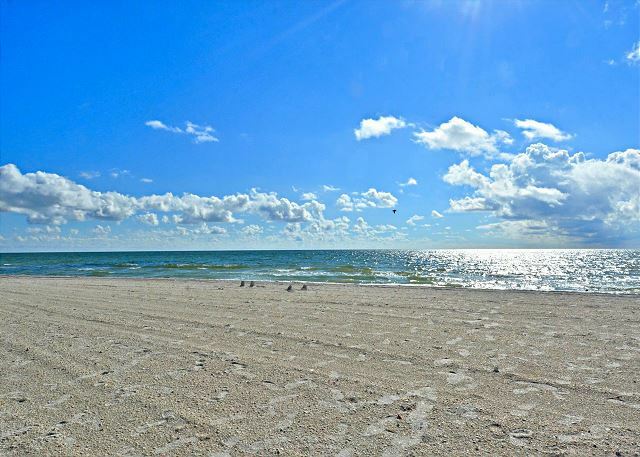 It's a short drive north to all the Treasure Island restaurants and shops and short drive south to St.Pete Beach. Only thing I would suggest to potential renters is all units are individually owned, look at the pictures and choose unit best fits your needs and standards. We had family also stay at same time and their unit was not as updated as ours and they had some issues with it. Great vacation for a family with kids. A very relaxing and comfortable Vacation! It was a bit of a rough start with water issues and maintenance coming into the condo unannounced, however we were taken care of for the inconvenience. Great time - loved the place nice and clean. We really enjoyed our stay at Land´s End. The condo fit our family of 2 adults and 2 children ( 2 and 4 years old) perfectly. If our paths would lead us to these parts again, we would definitly consider returning to Land´s End. The rental experience was top notch from beginning to end. Fantastic week. Unit was lovely. Very clean, well stocked, master bed was a little soft for us personally,. Other reviews mention loud music but we enjoyed sitting on our balcony listening and they did not play late. Lands End was great. My children(17 and 13) swam, played tennis,ping pong, and shuffleboard. The gentlemen at the gate house were polite, friendly and great with my children. Loved the walkway..
We loved the place other than it needs to be updated. The bathrooms need to be done first. great location and a great view of the water. This was our second vacation at Land's End. Everything was great. We enjoyed staying in a unit on the harbor side. This is our favorite beach vacation. We spent 3 weeks in Lands End. It was very Relaxing. We saw Dolphins and Manatees from our balcony. We would come back again. We had a wonderful time. Great location! Saw dolphins every day! Can't wait to visit again. Great place to take a family. We had a great vacation at Lands End. We would absolutely go back again! 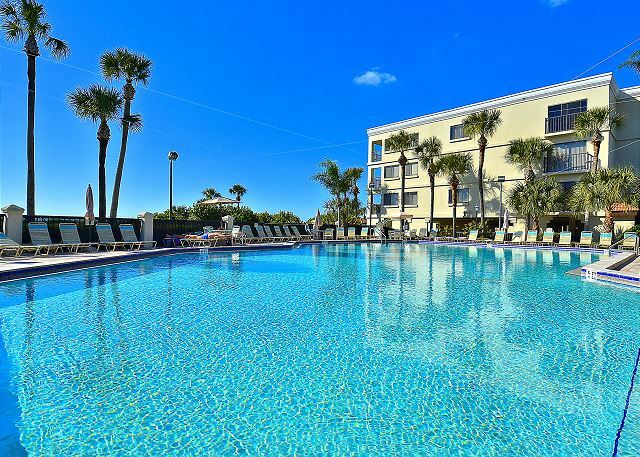 Very clean, great location, and enjoyed the beach and pool. I would recommend this property to friends and family. Love the high scores. Thanks so much! I will pass your suggestion on to the cleaning company.